Ok – we do mistakes during the printing and sometimes those mistakes becomes to beautiful inspiring combinations. On this image you can see how business cards printing miss-registration and double impression with foil gives really nice blind impression and hot foil overprint combination. 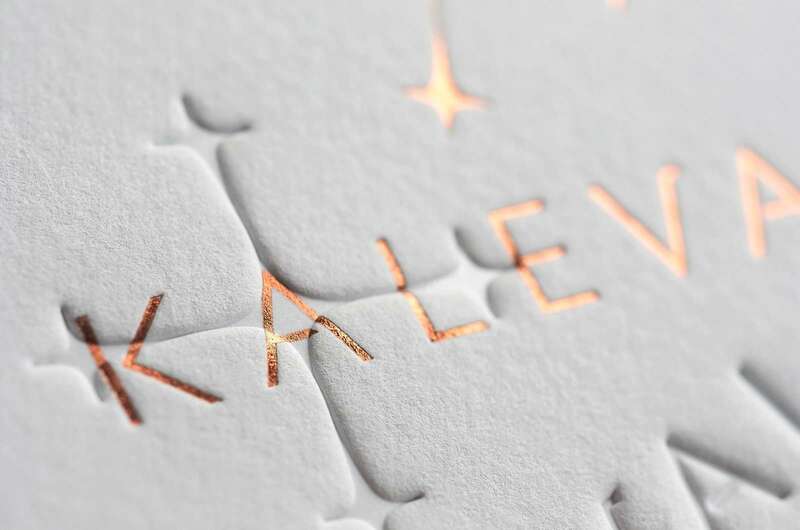 Close up shot shows the beauty of cotton paper and letterpress impression technique.